Best Gift: Gift packing,Great buy for yourself or as a gift for her on Birthday, Anniversary, Mother's Day, Thanksgiving, Christmas, and all other holidays! About US Bveyzi focus on the design and development of small leather goods. Make your carry with greater simplicity and ease. 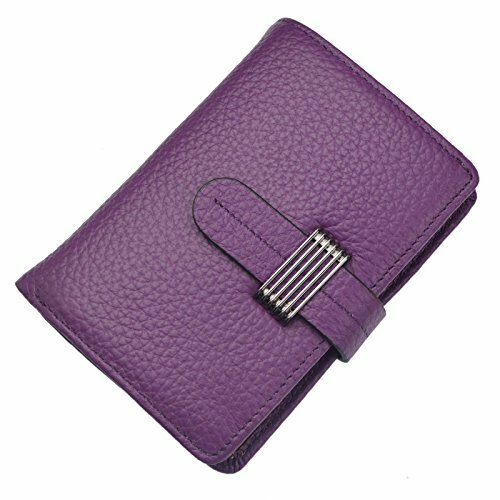 RFID Blocking Wallet: Keeps your vital information Secure. BE SAFE and Effective, Protect Identity Data from Electronic Pick pocketing; Blocking RFID scanners and readers from Scanning your Information. Compact Design& Full Capacity: Roomy enough for fitting plenty of cards, change and some bills, Coins, keep them well organized. If you have any questions about this product by Bveyzi, contact us by completing and submitting the form below. If you are looking for a specif part number, please include it with your message.